Customer Experience IRL: Fantasy or Reality? What is disruption? Clayton Christensen in his book The Innovator’s Dilemma defined innovative disruption as a “process by which a product or service takes root initially in simple applications at the bottom of a market and then relentlessly moves up market, eventually displacing established competitors.” A byproduct of innovative disruption is the creation of a new group of consumers previously unable to access these products or services. Mr. Christensen points to personal computers and cellphones as examples of such a theory. While he posits that the term “disruption” is used much too loosely, it’s obvious that many organizations face a new competitive landscape due to such disruption. However, just because the playing field is leveled in terms of accessibility and innovation doesn’t mean that all organizations are ready to transform their traditional business models and processes as quickly as their consumers are in adopting these innovations. According to Victor Milligan, Chief Marketing Officer at Forrester, “The speed of technology outpaces the speed of organizations.” Perhaps, both forces have incubated the rise of customer experience (CX), putting the consumer front and center rather than organizational needs. No matter how many times we might talk about CX strategies, quantifying the success of these initiatives is a lot harder than anyone might be willing to admit. In fact, InfoTrends Director David Stabel reports that “only about one-third of US enterprise respondents surveyed in our research use CX as a measure for management reporting. Respondents also indicated that the ability to pair CX with business outcomes is a key challenge.” Tying specific CX metrics to actual competitive differentiation has been difficult to calculate, and key performance indicators (KPIs) will vary according to individual organizations. Moreover, organizations are apt to make assumptions about their customers. “This not only risks jeopardizing the ability to provide good customer experiences (CX), but it also creates tunnel vision within the organization when it comes to evolving CX strategies,” says Arianna Valentini, Product Marketing Manager at GMC Software. The problem is that CX must confront the human element—a variable many ignore. This is not an isolated challenge. We’ve talked continuously about how executing on a strategy requires people, process, and technology. Yet, as writer Russell Stalters states, “people and process have not received the same attention as technology.” To coordinate effective customer experiences, we need to break down the barriers and siloes that exist in today’s organizations. Over the last decade, we have witnessed the growth of overlapping priorities within customer communications, marketing, information technology, and, now, cybersecurity. In order to deliver real business outcomes, we will need all stakeholders to take a seat the table. Disruption will continue to impact organizations. It will be up to these enterprises whether CX strategies become a reality instead of simply the dream of what could be. I invite you to take a seat at the table at our annual event, the DOCUMENT Strategy Forum, this May 1-3, in Chicago—a place where customer communications, information management, and customer experience professionals can begin these important conversations. 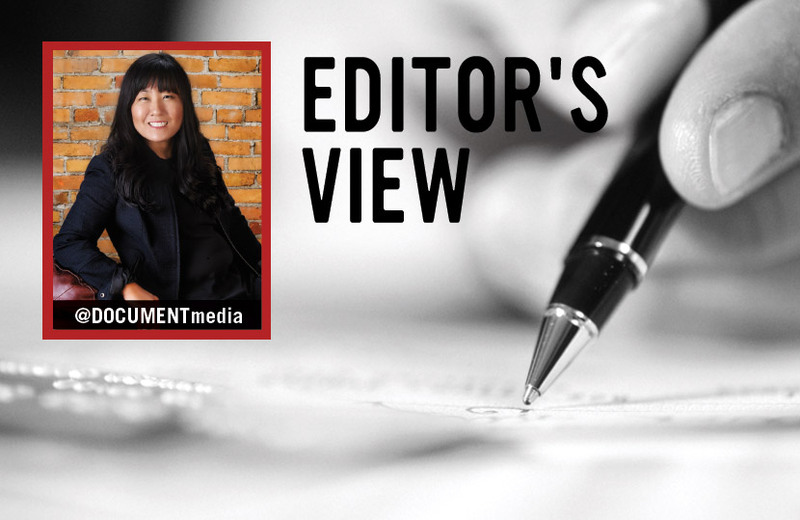 Alison Lloyd serves as the Editor of DOCUMENT Strategy Media. She delivers thought leadership on strategic and plan-based solutions for managing the entire document, communication, and information process. Follow her on Twitter @AllisonYLloyd.